I wanted to try this technique for awhile. Clearly I need a little more practice but I am happy overall with the first try. I used RBL Motorini as the base. You can see the glow in the pinky. Then I used the stamper to capture flower images and painted in the flowers before applying it to my nail. I learned a few things first time around so next time should turn out better. I do like this color combo. 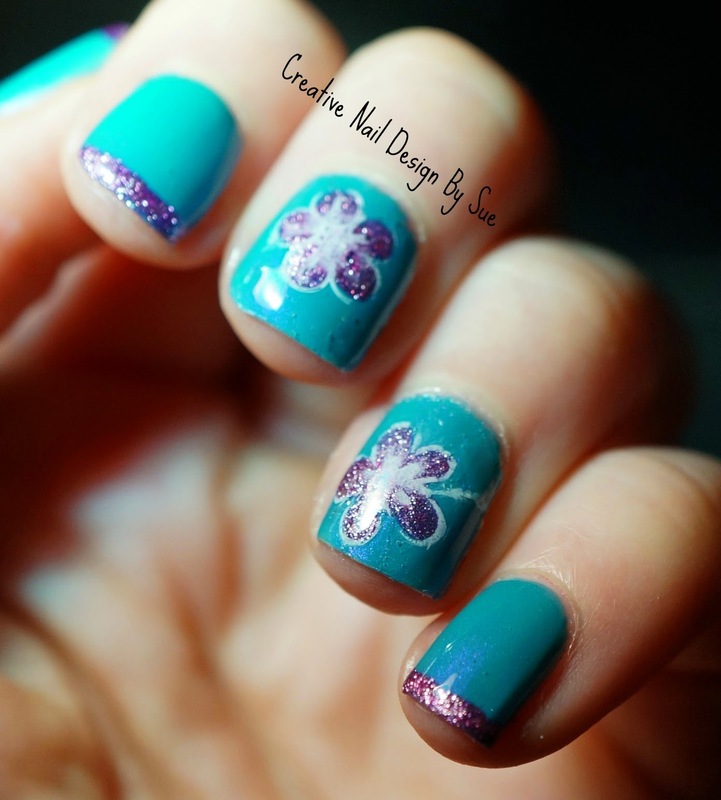 Lovely color combination, I like that you used for the flower a glitter polish. Pretty glittery flowers! I like the french tips too. Looks so glittery and pretty! Totally love this! Following each other? :) I'm from Slovenia! Those flowers are so cool! Pretty! Love the colors too! I still struggle with stamping decals. Hello! I would like to open cosmetology salon. Do you have an experience in this business? There are too many options in beauty salon equipment. Could you give me an advise? What companies are more reliable to buy portable galvanic facial machine and Cavitation vacuum machine?